Hong Kong Airlines will maintain flights to Cairns and Gold Coast after its three-month seasonal schedule concludes at the end of March. The Queensland government confirmed in a statement on Wednesday Hong Kong Airlines would have twice weekly flights to Gold Coast and Cairns from April, increasing to three times a week from July. Hong Kong Airlines serves the two cities via a Hong Kong-Gold Coast-Cairns-Hong Kong routing with Airbus A330-300s configured with 32 business class and 260 economy class seats. Its inaugural flight touched down at the Gold Coast on January 9. Hong Kong Airlines chief commercial officer Li Dianchun said the seasonal flights have been well received. “Queensland is undoubtedly a wonderful destination for travellers and overwhelming response have been received since its launch in January,” Li said in a statement. Queensland Minister for Tourism and Major Events Kate Jones said the state government would support the Hong Kong Airlines service through its $10 million Attracting Aviation Investment Fund (AAIF) alongside Gold Coast Tourism, Cairns Airport, Tourism Tropical North Queensland, Tourism Australia and Gold Coast Airport. “These flights will bring visitors from many major ports across mainland China to Hong Kong and on to Queensland, as well as thousands of Hong Kong residents heading to the Gold Coast and Cairns,” Jones said in a statement. Hong Kong Airlines is currently restricted to secondary Australian destinations such as the Gold Coast, Cairns and Darwin as Cathay Pacific has utilised all available traffic rights for Hong Kong-based carriers to the four major Australian ports of Brisbane, Melbourne, Perth and Sydney under the current bilateral air services agreements between the two countries. A recent CAPA – Centre for Aviation research note said Gold Coast was “arguably the most attractive” of the available options, given the recent charters to the popular south Queensland destination from the likes of China Southern and Cathay. 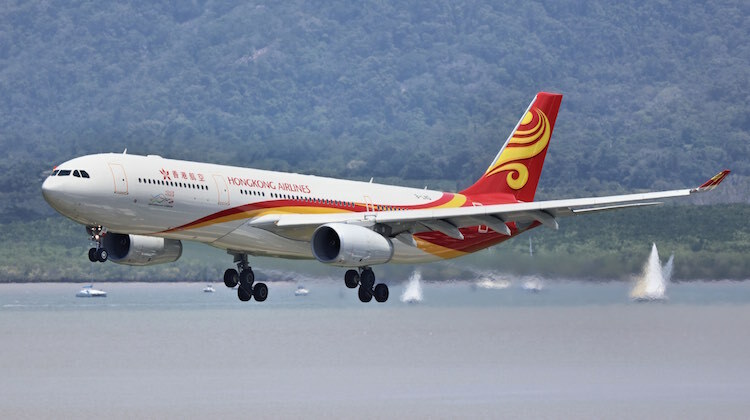 “Hong Kong Airlines will need to test the market and ensure it can gain the necessary yields, especially outside peak periods, functioning more as charters,” CAPA said on July 13 2015. “But ultimately Hong Kong Airlines will need access to major markets, Sydney especially. Cathay offers year-round service to Cairns from its Hong Kong hub, while the oneworld alliance member has also served the Gold Coast with charter flights during the Chinese New Year period.